This is what my bucket list used to look like a couple of years back… Even though I am as passionate about this list today as I was at the time, I guess this list will look exactly the same a few years later if maintained this way. The point I am trying to make here is – bucket lists are the achievements one wants to make during one’s lifetime! These are not random wishes which we have given up on. 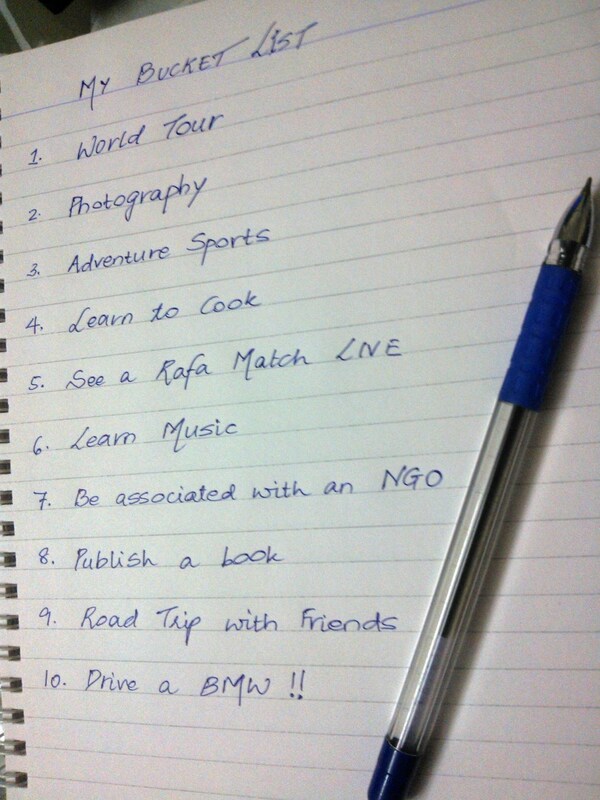 Bucket lists are achievable, definitive goals which keep us going! We need to know precisely what we want to do/ accomplish in life at a personal level, phrase it in clear terms and if possible put a deadline to it. Therefore… the solution to this being – identify the key countries/ places u want to visit and jot them down as a detailed sub-list. Visit family in Los Angeles, drive across the mountains and valleys in LA, see Hollywood! Scream my heart out at Universal Studios & Disney Land! Stand at the edge of the Grand Canyon and feel on top of the world (literally speaking)! Win a LOT of money (and maybe loose some) in Las Vegas! Get on the topmost peak of the Alps! Shop in Florence and Venice! Take a tour of the BMW, Porsche and Maybach manufacturing plants in Germany!!! Cape of Good Hope – the place where earth ends! See a cricket match in the Johannesburg Stadium (one of my favorite grounds)! 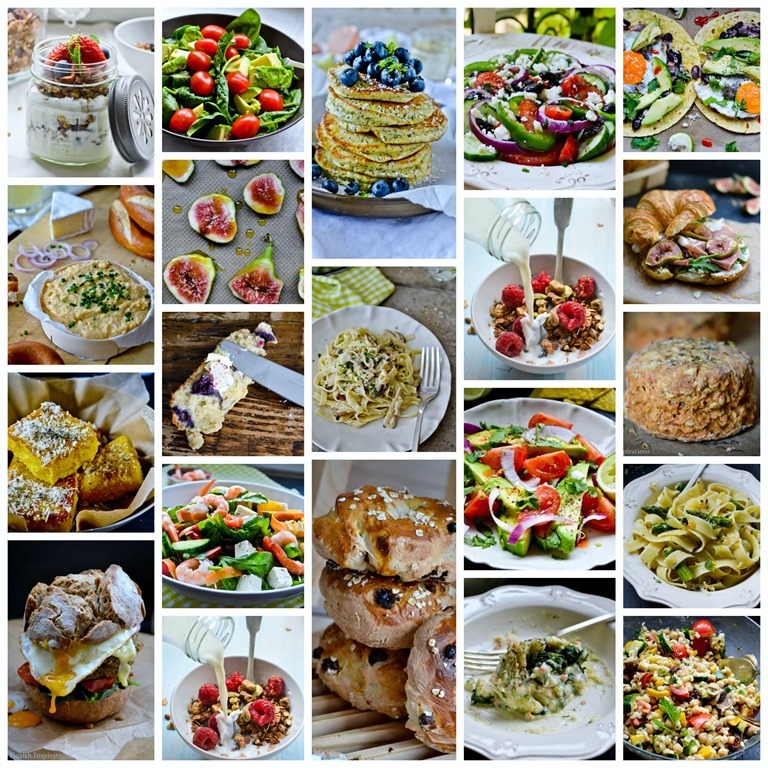 Italian – Risottos, pastas- all sorts! (tomato basil, alfredo, pesto, arabiata), Bruscheta, Jalepeno Cheese Poppers and the like! Mexican – Bean and Salsa soup, Quesadillas, nachos, tacos, Tamales, enchiladas, tortilla with dips! Hmm.. time to get on with the task! As a headway, I have been able to strike off 2 items from the list as I recently went to an adventure park with friends and did zipping and rode an ATV Bike! So here’s the thing – the clearer we jot it down, the more detailed and realistic our plans. Isn’t that already a first step towards achieving them?!?! So let’s start making our bucket lists today and look forward to achieving them one by one! These are the things that make life worth living! These are the things to look forward to in life or maybe even every day after a stressful day at work! ← So much More to Udaipur than just the City Palace!! 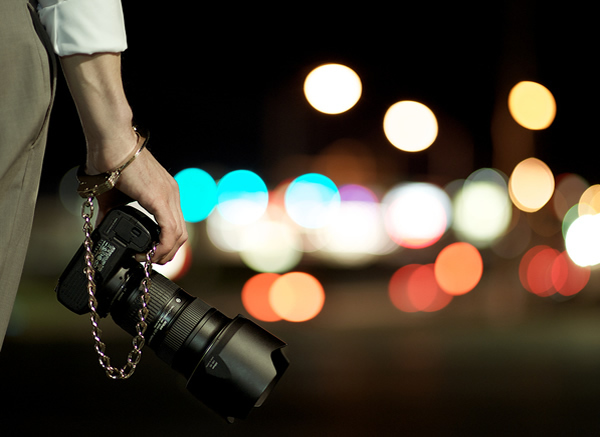 Photography, invest more on the lenses than the camera model. Get a 50mm prime lens for potraits, or a 55-200mm Zoom lens. 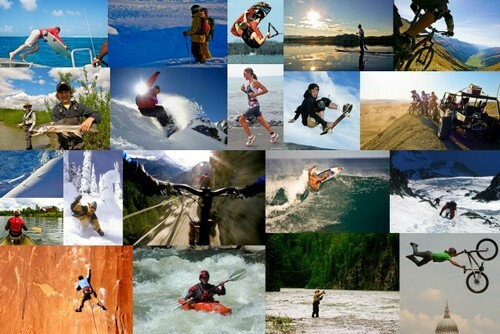 Adventure Sports – I suggest sky diving. Its there on my list for some time. The thought of a free fall from 20k ft height triumphs over the rush any other adventure sport can possible even come close to. India – already exploring! You have heard stories 😉 The reason why i dont have it on my ‘bucket list’ is I see it getting fulfilled without extensive planning. Leh-Ladakh definitely on my ‘short term’ list. Will seek tips from you when i go there! Adventure Sports – will take a while to push myself to try sky diving.. Simpler things first to gain confidence!